Advanced rain jackets that holds up when work can’t stand still. An advanced rain jacket designed for people who work in a tougher climate that makes high demands on function and perfor-mance. This model is slightly longer and gives you effective protection while still having a flexible fit. 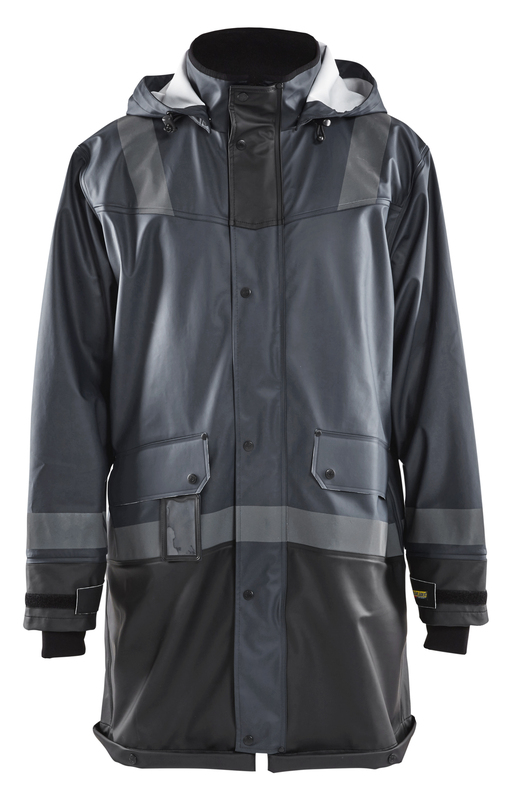 The jacket is wind and waterproof with welded seams and ventilation in the back, a fleece-lined collar, easy-access front pockets with flap and press studs. It has an ID card pocket and Napoleon pocket inside the front flap. The sleeves have Velcro-fastening and neoprene cuffs that prevent water from seeping in. 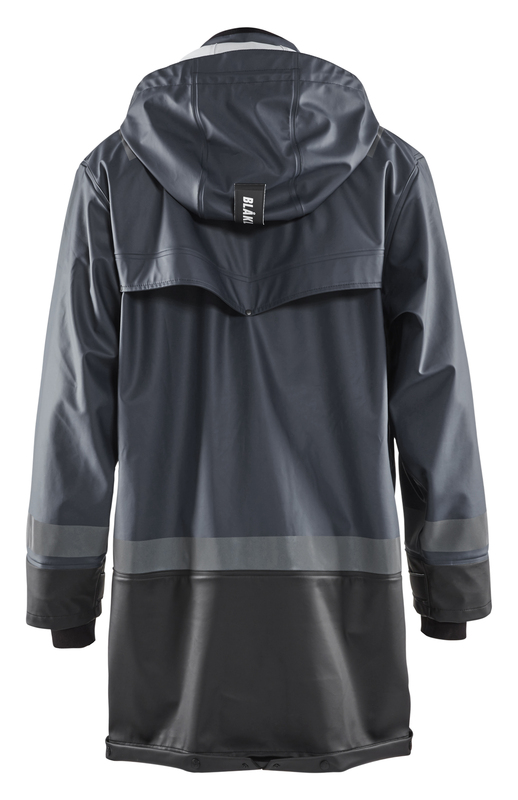 It has a buttonable drip hem at the bottom and has dark, discrete reflectors to make you visible in the dark. Certified to EN 343, Class 3.1, protection against bad weather.